You want a swimming pool, but you’re worried about how much it will cost to have constructed AND how much it will cost to service and maintain. The swimming pool contractors from Tipton Pools in Knoxville, TN have money-saving pool tips for long-term pool owners and for new pool owners. The pool contractors from Tipton understand that pool owners, like everyone, is looking for ways to save money. Having a pool in the backyard means you have a staycation spot but it also means your utilities may increase and you will have the additional cost of pool upkeep and maintenance. There are ways to make owning a pool easier on the family budget. One of the biggest money-saving (or money-costing) devices is the swimming pool pump and here’s why. When you become a pool owner, your service pro will talk about “turnover rate” and you will want to understand that term. 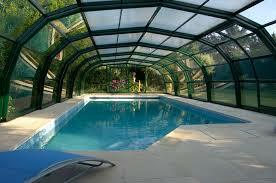 It means, the amount of time it takes for all of the water in your pool to go through the pool pump and filter. The water in your pool should turn over at least once a day — more if the pool is used a lot. Ask us how long — based on volume and your pool pump — it will take for complete turnover to occur. Invest in, or update to, a multi-speed (variable speed) pool pump. This will be one of the biggest money savers you can invest in. When your pool has a single speed pump it will run at… a single speed… no matter what task it’s performing and this is money wasting. To circulate the water in the pool, a variable speed pump is best — water circulation requires less energy. Vacuuming the pool requires more. Using a variable speed pool saves you money. Off peak hours are your friend. Run your dishwasher, washing machine and especially your pool pump and filter in the off peak hours — usually overnight. There is less drain on the electric grid and costs are typically lower. Install programmable devices so you don’t forget to run pool equipment on the overnight. If you are looking for further ways to save money on pool operation, let’s sit down and talk when we pay our next service visit or when we’re planning your pool project.